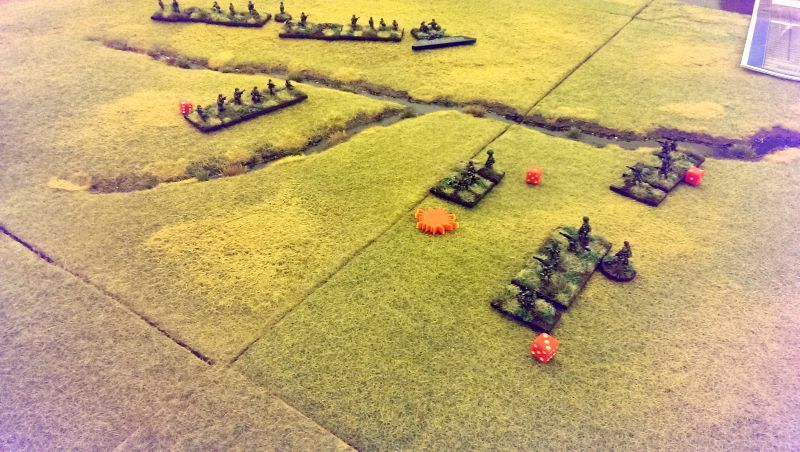 This game took place at a Whitley Bay 3D Gamers evening in February 2016, with Dougie offering up a 10mm Falklands game using the Lardie’s I Ain’t Been Shot, Mum rules. Myself, Dougie and Alex took the valiant Brits advancing at night to clear out Nick’s evil Argies in the run up to Goose Green. 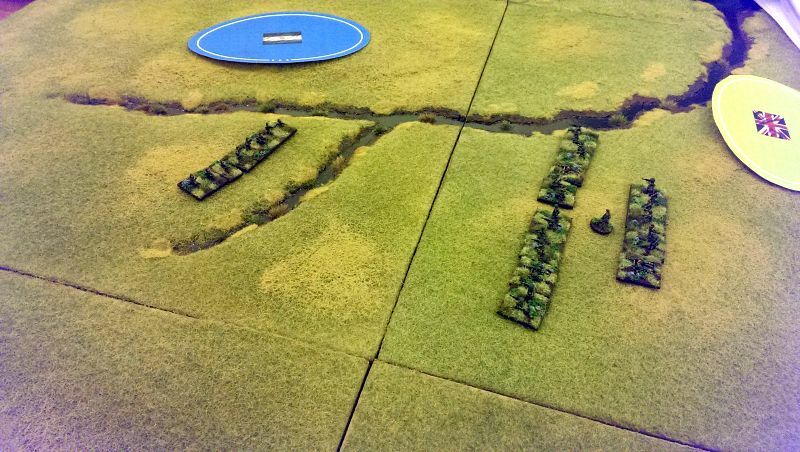 The Brits were really going for a straight on attack, and the two dummy Blinds were in the foreground feinting around the flank. 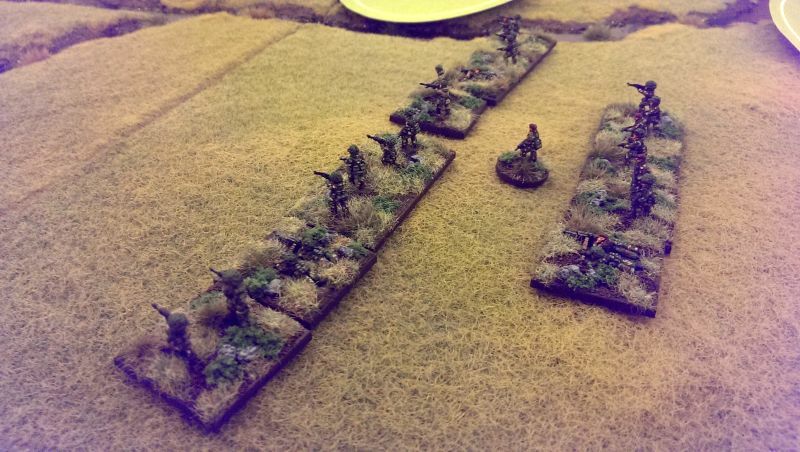 Poor movement dice overall meant that the 1st Platoon approached the dug-in Argentinians unsupported and was soon spotted and subjected to withering fire! 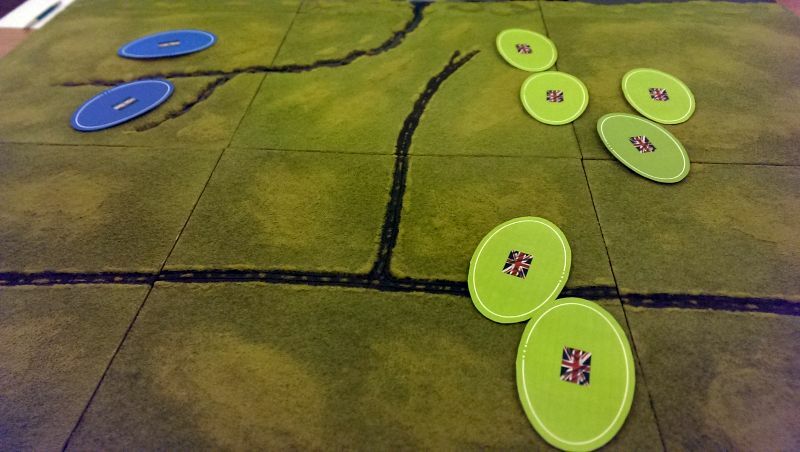 The rest of the British force continued their advance, closing in on the Argentinian flanks, and the first Argentinian platoon finally succumbed to British return fire. And the British began to close in despite the threat of the .50cal. 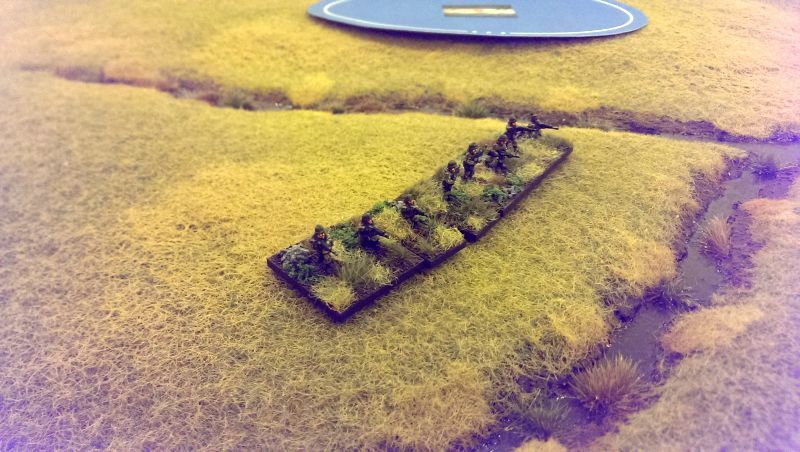 The other British platoons finally came into play (the dummies causing the defenders to waste some actions). The .50cal was taken out of play the superior British fire discipline began to tell. At this point it was clear the Argentinians would have surrendered. 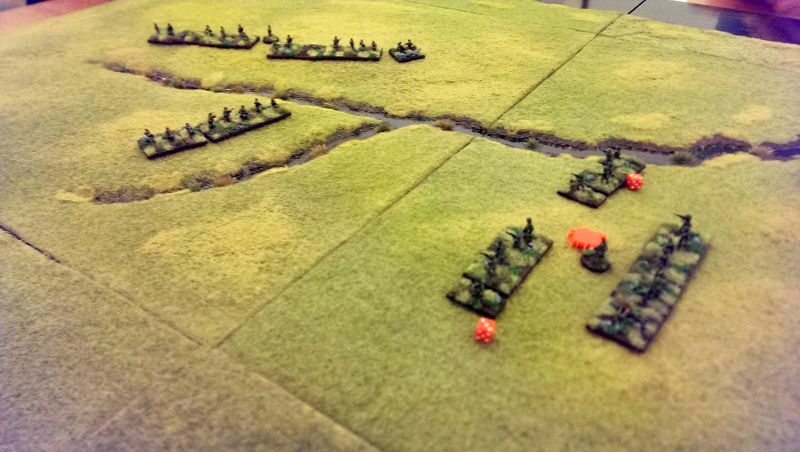 They had done well fighting off the first platoon but in a static position it was only a matter of time before the superior discipline of the Brits seized the day (or night!). The rules worked pretty well and it shows what you can do with quite a small number of figures. The photos do not do justice to the lovely paint jobs on the 10mm figures and the bespoke terrain. Good game and thank to Dougie for putting it on and Alex and Nick for partaking as well.